Houston criminal defense attorney Neal Davis wants you to know your rights. If you or a loved one have been arrested or charged with a crime, you may be wondering, “Should I talk to police without a lawyer present?” Veteran Houston criminal defense lawyer Neal Davis has a quick answer: No. Instead, it is vital that you contact an experienced local defense attorney before making any statements to police. Contact the Neal Davis Law Firm today for a free legal review of your case, and then go into any meeting with the police prepared - with your defense lawyer by your side. Neal Davis has nearly 20 years of experience dealing with police officers in arrest situations. Numerous times, Neal Davis has been able to prevent police from filing charges, or he's been able to get existing charges dropped. If police have questions for you, you should let Neal Davis help you answer. He can properly prepare you for a police interview and be present with you when you speak to police. He can intervene with answers or objections when needed to ensure that your statements to police cannot be misrepresented or misconstrued. 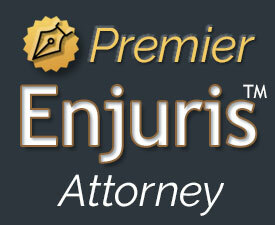 Why Do You Need Professional Legal Help? You need such legal help when talking to police because you lack the experience Neal Davis has earned by dealing with police for many years. Davis knows that police don't want you to have a lawyer present. He knows police may try to persuade you that it's in your best interest to speak to them readily and without having a lawyer. Police may tell you that “it doesn't look good” if you get a lawyer. This is false. Davis also knows that this kind of talk is designed to help the police, not you. He knows you should wait and get a knowledgeable defense attorney by your side before making any statements to police. Keep in mind that, by law, investigating officers have a right to lie to you during an investigation. You do not have that right. You are required to tell the truth. But truth can be twisted, and police already may have decided you are guilty. They may try to get you to say things which could incriminate you. Neal Davis can protect you from making such statements. All this doesn't mean you should be disrespectful to police. If police ask you to make a statement without a lawyer present, you should politely decline and inform them that you'd like to speak to a lawyer first - and perhaps have a lawyer present when you do make a statement to police. That's not being uncooperative. That's being smart. Contact Neal Davis today for your free case review.